Before you begin your search for the right vehicle, it pays to have access to plenty of resources that’ll help you determine which options are best for your needs. 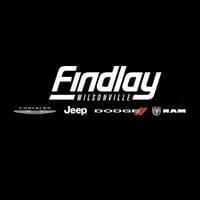 Fortunately, the team of experts at Wilsonville Chrysler Dodge Jeep Ram has created this library of informative reviews so that drivers near Wilsonville, Woodburn, and Sherwood can easily learn more about the vehicles in our showroom. While you’re reading through these helpful Chrysler reviews, you’ll find out more about the key specifications of our Chrysler models—from performance to safety to technology, and more. That way, you’ll arrive at our dealership knowing exactly which vehicle is perfect for your family. Think about it: when you’re preparing to invest in your next vehicle, you want to be sure that you’re choosing that one that’ll help you manage your busy life. That’s why each of our Chrysler research articles supplies you with key details on the most important aspects of our automobiles. 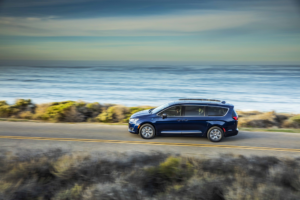 So, regardless if you’re considering something like the Chrysler Pacifica, the Chrysler Pacifica hybrid, or any other model in our showroom, these pages provide you with a thorough overview of the performance specs, transmission options, and other features you’ll find inside your preferred car. On top of the insights included in our Chrysler resources, these articles are all conveniently laid out on this page. That way, all you have to do is choose the one that pertains to your favorite Chrysler model and start reading. Plus, because these Chrysler reviews can be accessed online, you’re welcome to take a closer look at the vehicle that’s right for you from the comfort of your own home. 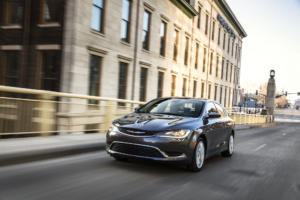 Throughout our Chrysler reviews, you’ll discover more information about specific performance capabilities of each vehicle, such as horsepower, torque, transmissions, engine options, and other details. If you’ve been on the lookout for a car that’s equipped with advanced technologies, make sure to check out an overview of these features in our Chrysler Model pages. From navigation options to infotainment systems, and more, these articles cover the standard and optional gadgets found in the cabin. No matter if you’re searching for intelligent safety tools or just want a vehicle that’s armed with a sturdy airbag system, these Chrysler reviews incorporate details about those amenities and other optional technologies. That way, you’ll begin every journey knowing that your vehicle is designed to keep your loved ones safe. Of course, these are only a small sampling of the various topics included in our Chrysler research articles. To learn more about the other aspects covered in these pages, feel free to click on one and start reading. There’s nothing better than arriving at your dealership as a fully informed car buyer. With the assistance of the Chrysler reviews on this page, you’ll be one step closer to snagging a vehicle that’s designed to make your commutes near Wilsonville, Woodburn, and Sherwood more enjoyable. To get started, simply click on one of the links below and take some time to learn more about the impressive featured contained within our Chrysler models. Have a few questions? If so, don’t hesitate to reach out to the friendly professionals at Wilsonville CDJR.